CarboPro and Hydra C5 Ultimate Energy For Endurance Athletes, CARBO PRO manufactures the finest and the best nutrition supplements for Power Strength and Endurance Athletes. Based on the latest research and scientific findings. 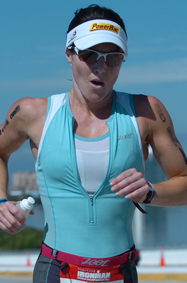 "With VO2 Max I’ve been able to train and race harder, for longer. I don’t fatigue as quickly as I normally would, nor do I pull up as sore. There’s a lot of research and science behind this product and it works."